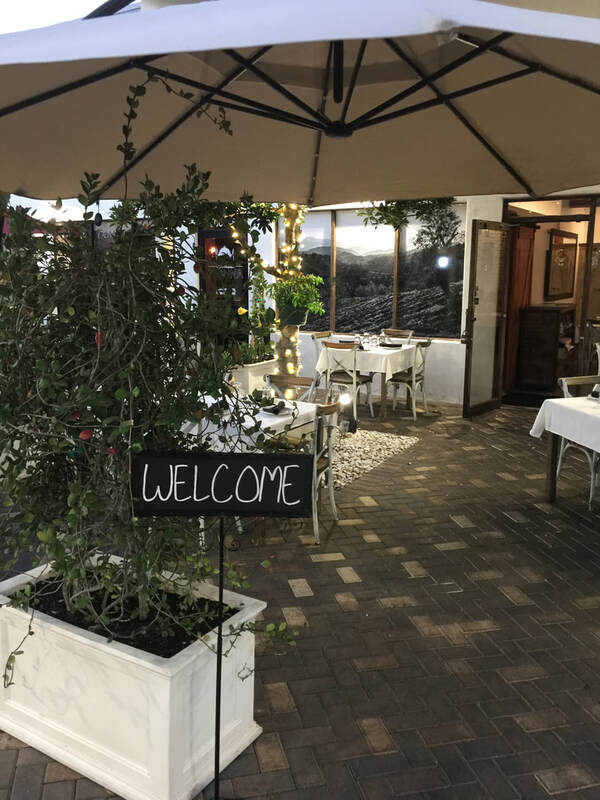 BOCA RATON_​New owners, new menu, new chef and a new look. 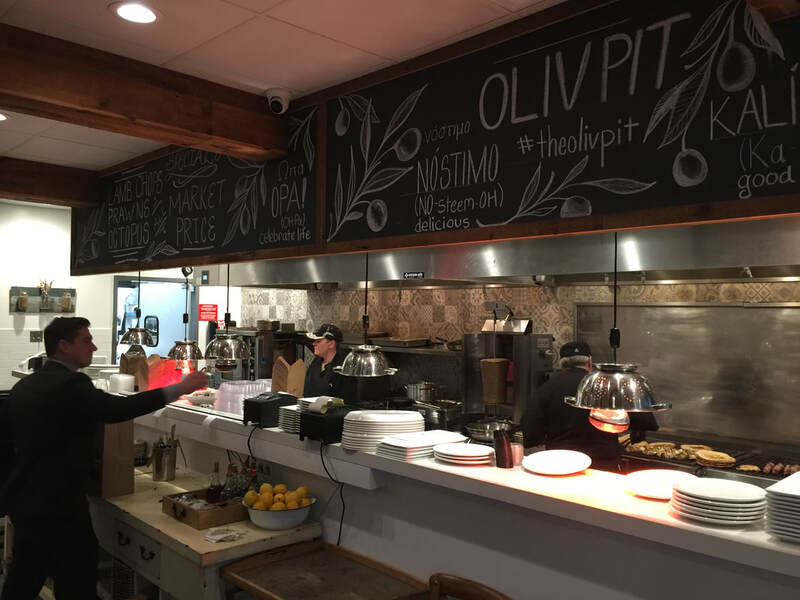 There's a lot of new, and a lot to like, about Oliv Pit 2.0, located at the Shoppes at Village Point. Yuri Tsyganov and Konstantin Galkin, along with a new executive chef, Ayal Kitches, from Tel Aviv. Management also brought in Greek architect and designer Maria Mergoupi to give it a fresh look. This week, Pam and I joined other local media invitees to sample the result. Upon entering, you at once feel at home, with the main dining area fronting an open kitchen. 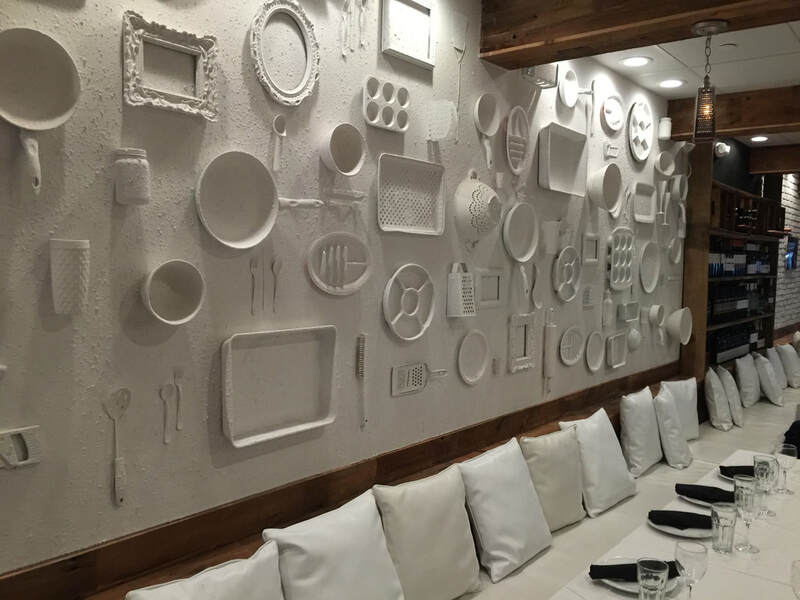 A wall of white cooking utensils adds a bright and cheery tone, while the cushioned seating evokes a casual vibe. 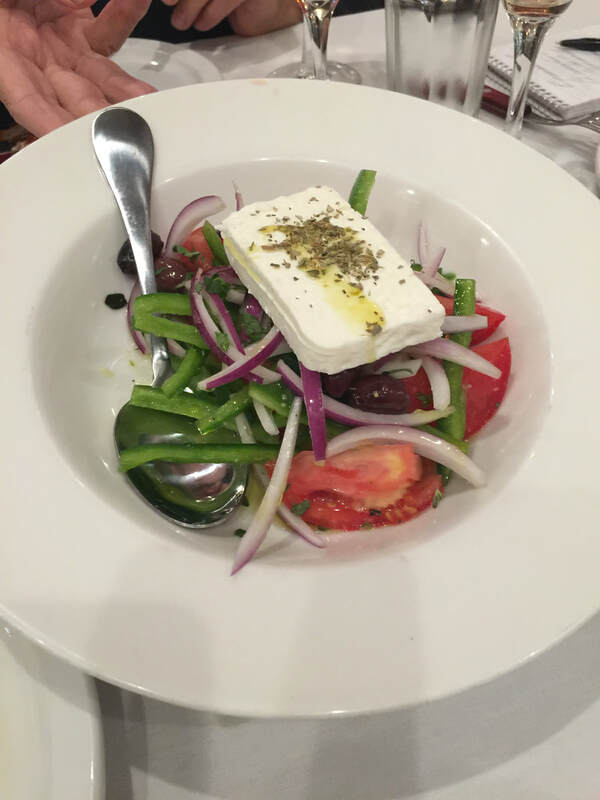 The specialty here is fine Mediterranean cuisine with lots of healthy options. 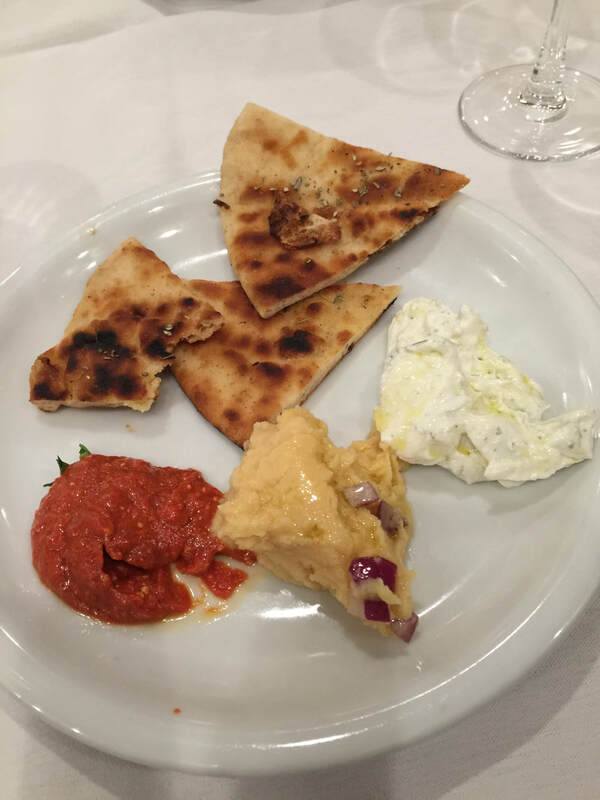 Our meal started with the Trio of Spreads -- fava, paprika and Pam's personal favorite, tzatziki ($6). It's one of over two dozen items you can order as starters. They were so good it could have made a meal all by themselves. Next came two more starters: Smokey Grilled Eggplant ($7) and Grilled Octopus ($15). True as advertised, the eggplant had a succulent smokey flavor. We passed on the octopus but heard others rave about it. Each dish was paired with a wine. Our favorite was the Kir-Yianni Akakies Sparkling Rose. The next course was the Greek Village Salad ($11), featuring tomatoes, cucumbers, red onions, kalamata olives, feta, green peppers and olive oil. So fresh and good, we wouldn't let our server take it away. 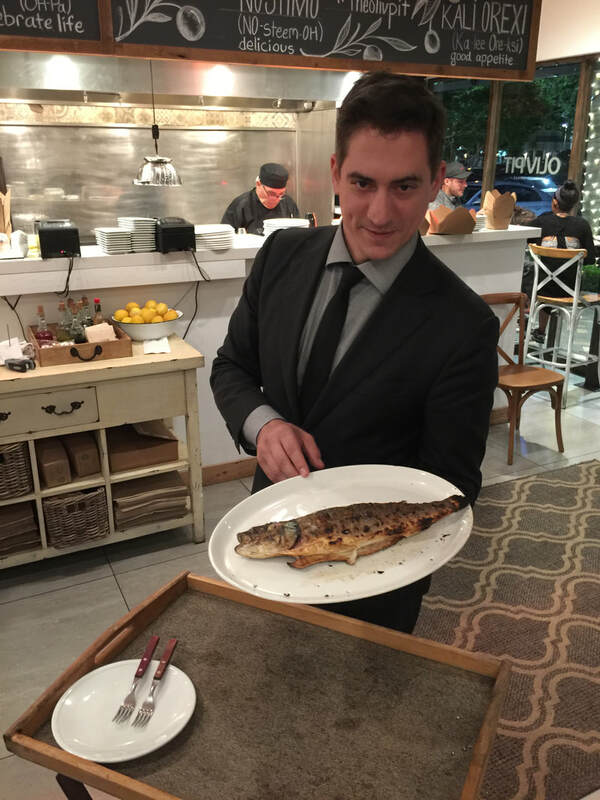 Then came the main event: Grilled Whole Branzino ($32) prepared tableside. You can actually watch how in the video below. Served with capers and a preserved lemon vinaigrette, it had an excellent texture and flavor. We also had an off-the-menu item: Araka Green Pea and Beef, with lemon potatoes. After trying it, several at our table insisted they add it to the selections. The wide-ranging menu also features gyros, pita wraps and dishes prepared family-style. Yuri Tsyganov, one of the partners in the restaurant, explained their philosophy: "Here you can have a very high quality meal in a friendly atomsphere," he said, "and you don't have to sit for two hours. You can be here for 45 minutes and have the same experience." Friendly service, delicious food, affordable prices and comfortable surroundings. That's a formula for success. We give it two thumbs up. 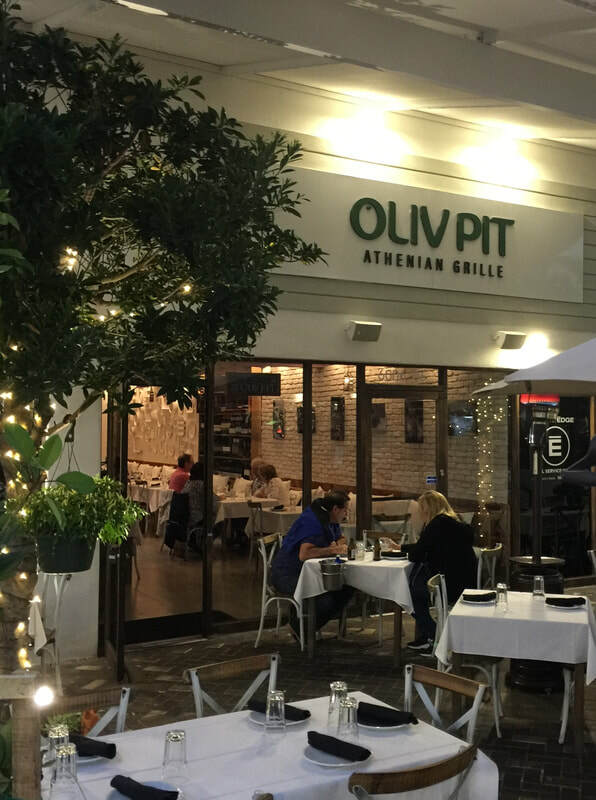 ​​Oliv Pit is located in the Shoppes at Village Point, 6006 SW 18th St, Boca Raton, FL 33433. 561.409.2049. The restaurant is open daily. Hours are 11:30 a.m. to 9 p.m. Sunday through Thursday, and 11:30 a.m. to 10 p.m. Friday and Saturday. 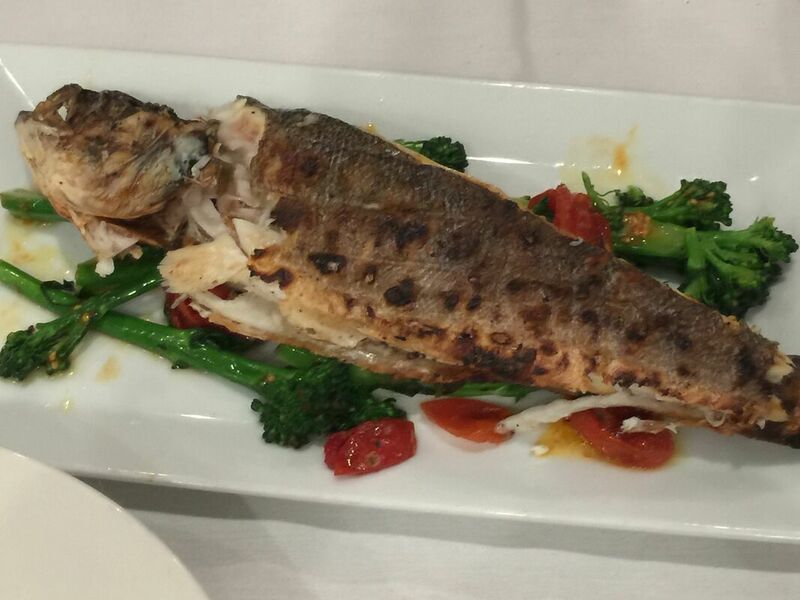 Grilled Whole Branzino ($32), served with lemon, capers and olive oil. Watch the preparation in the video below. The best for last -- dessert!